What's better than cold steel? The White Walker's Ice Blade measures 41 1/2-inches long! This clear, solid faux-weapon is made from acrylic. What's better than cold steel? How about an Ice Blade? Based on HBO's smash-hit TV series, Neptune Trading introduces the Game of Thrones White Walker Ice Blade. 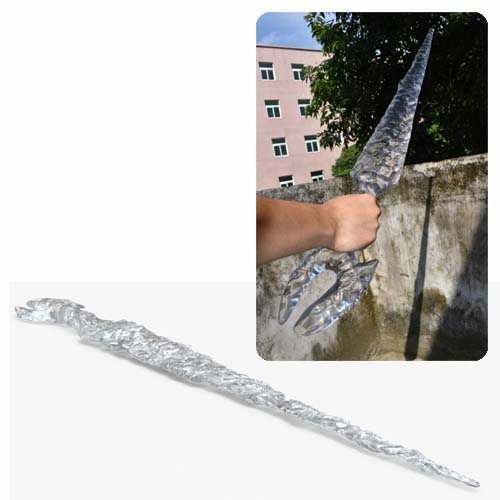 This clear, solid faux-weapon is made from acrylic and shaped to look like one of the ice weapons seen in the show. The Game of Thrones White Walker Ice Blade measures an incredible 41 1/2-inches long! Although little is known about White Walker's ice weapons, their power is certainly evident. Feel it for yourself!